It seems that everyone knows that there is a particular gemstone associated with the month of their birth, but did you know that the signs of our zodiac have also long been linked to semi precious gemstones? 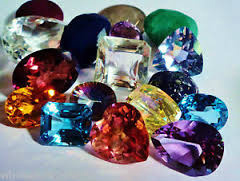 Each sign, as well as some birth months, have several possible associated gemstones, which is why stones are often referred to as “having an affinity with”, rather than being specific to a particular month or zodiac sign. Of course, you don’t have to stick with your own birthstone. If something else “feels” good, go with it! 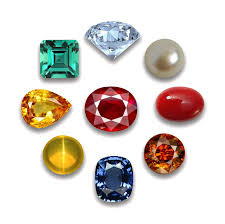 Aquamarine,Aventurine, Bloodstone,Cats Eye, Citrine, Clear Quartz,Emerald, Diamond, Garnet, Jade, Kyanite, Ruby, Sardonyx. Carnelian, Cats Eye, Chrysocolla,Chrysoprase,Coral, Diamond, Iolite, Jade, Lapiz Lazuli, Kyanite, Rutile, Blue Tourmaline, Rose Quartz. Agate, Apatite, Aquamarine, Citrine, Chrysocolla, Chrysoprase, Emerald, Howlite, Onyx, Pearl, Rutile, Sandstone, Blue Sapphire, Serpentine. Calcite, Carnelian, Chalcedony, Clear Quartz, Moonstone, Opal, Pearl, Ruby. Amber, Aventurine, Carnelian, Citrine, Clear Quartz, Garnet, Jasper, Labradorite, Onyx, Peridot, Rhodocrosite, Ruby, Yellow Sapphire, Sardonyx, Sunstone, Topaz, Pink and Green Tourmaline. Agate, Amazonite, Amethyst, Carnelian, Chalcedony,Chrysocolla, Garnet, Jasper, Peridot, Sapphire, Snowflake Obsidian, Tourmaline. Ametrine, Bloodstone, Ametrine, Citrine, Emerald, Iolite, Kyanite, Malachite, Opal, Moonstone, Prehnite, Jade, Sapphire, Tourmaline, Sunstone. Aquamarine, Botswana Agate, Clear Quartz, Jasper, Obsidian, Labradorite, Opal, Moonstone, Malachite, Rhodocrosite, Peridot, Smoky Quartz, Turquoise. Amethyst, Chalcedony, Clear Quartz, Iolite, Labradorite, Lapiz Lazuli, Obsidian, Peridot, Ruby, Sapphire, Smoky Quartz, Topaz, Turquoise. Amethyst, Aragonite, Cats Eye, Clear Quartz, Fluorite, Malachite, Ocean Jasper, Smoky Quartz, Tiger Eye, Green Tourmaline. Amber, Amethyst, Aquamarine, Chalcedony, Clear Quartz, Hematite, Turquoise. Amethyst, Aquamarine, Bloodstone, Blue Lace Agate, Opal, Coral, Fluorite, Turquoise.